Using an automatic lubrication system makes lubrication simple and reduces the need for human interaction. That doesn’t mean, however, that an operator is not required at all. It is very important to monitor the system to avoid costly accidents and downtime. HES Lubemec provides a wide choice of monitoring devices that will use signals, either visual or electrical, to alert to variances or problems within the system. 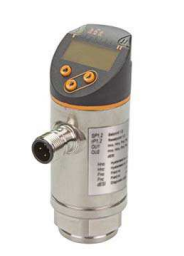 HES Lubemec has switches to check pressure and lubrication levels, sensors to measure flow and humidity, pressure gauges and transmitters as well as flow monitors and piston sensors. As well as the factors above, HES Lubemec can offer products to monitor contamination, volume, temperature and moisture. HES Lubemec is your total lubrication system and components provider, we are committed to making sure that your lubrication solution is perfect for your specific application.